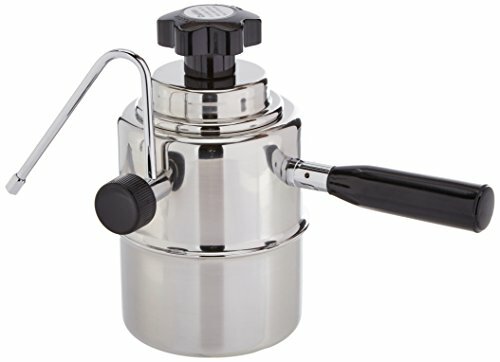 Stove top stainless steel stove top Cappuccino steamer. Now you can easily make your own cream cappuccino's and latte's at home. Place water in the steamer then place on stovetop. Steam exits valve when ready, remove and use. If you have any questions about this product by European Gift, contact us by completing and submitting the form below. If you are looking for a specif part number, please include it with your message.